Agatha Chapman was born in England in 1907, and immigrated to Canada in 1918. She came from a very well-connected family. Her father had been a high court judge in India, while an uncle had been lieutenant governor of Manitoba. She was also the great grand-daughter of Sir Charles Tupper, a Father of Confederation, premier of Nova Scotia from 1864-67 and, briefly in 1896, sixth prime minister of Canada. Chapman received a BA in commerce from the University of British Columbia, and subsequently, in 1931, a Masters degree. After working for an insurance company in Montreal, she joined the Bank of Canada in 1940. She was one of the first, if not the first, woman economist hired by the fledging central bank, which had itself only commenced operations five years earlier. Despite being a woman in a decidedly male profession—the Bank required female employees to resign upon marriage—Chapman excelled. In 1942, she was seconded to the Dominion Bureau of Statistics, the forerunner of Statistics Canada, to join a team tasked with developing from scratch Canada’s national accounts. The national accounts provide estimates of a country’s economic activity, broadly measuring the income and expenditures of key economic agents, such as consumers, corporations and governments. Following the Great Depression, the development of an accurate set of national accounts was a prerequisite for governments seeking to support and sustain a high level of economic activity. In this exceedingly important area of economic research, Chapman quickly became one of the Canada’s leading experts. Her apparent charmed life was shattered in July 1946 when she was identified by the Kellock-Taschereau Royal Commission as a member of a communist cell, and of having aided the transmission of secret information to the Soviet Union. The Royal Commission had been established by Prime Minister Mackenzie King in early 1946 to examine allegations of a Soviet spy ring operating in Canada involving military and government officials by Igor Gouzenko, a Russian cipher clerk stationed in Ottawa, who had defected the previous year. Testifying at Commission hearings, Chapman readily admitted to having been a member of a number of study groups that had discussed, among other things, socialist and Marxist literature. These meetings were frequented by most of the people of interest to the committee, including Fred Rose, the communist federal MP for the Montreal riding of Cartier, whose names had come up in documents provided by Gourzenko, or in later testimony. Chapman also admitted to being a member of the Canadian Soviet Friendship Council, though this was nothing unusual at the time as the Russians had been viewed as close allies during the war, deserving Canadian support. A day after the Kellock-Taschereau Commission had revealed her name in its final report filed on 15 July 1946, Chapman was suspended with pay from her job at the Dominion Bureau of Statistics. With rumours about her alleged spy activities swirling through Ottawa, she successfully petitioned Louis St. Laurent, the Minister of Justice, for a trial so that she could clear her name and restore her reputation. On 18 September 1946, she was formally charged. The following day, she surrendered to police, and was arraigned before a magistrate and released on $2,000 bail. With an early snowfall blanketing Ottawa, Chapman’s trial began mid-afternoon of Tuesday, 26 November in front of county court judge A. G. McDougall. Adjourned at 5:00pm, the trial recommenced at 10:30 the next morning. Two hours later, and after only 4 ½ hours of testimony, Judge McDougall dismissed the case against the 39-year old economist. The judge agreed with the defence counsel that “there was no evidence on which a jury could possibly have convicted.” Most tellingly, Gouzenko himself did not recall her name in Soviet documents, and did not recognize her despite living on the same street as Chapman. Chapman’s ordeal was not over, however. Although she had hoped to get back to her beloved job working on Canada’s national accounts, this was not to be. In the midst of the crisis, she had applied for a permanent position at the Dominion Bureau of Statistics to do essentially what she had already been doing. Although the job competition was delayed until after she had been cleared of all wrong-doing, the position was given to a less qualified and less experienced man. The Bank of Canada also failed to support her, and Chapman left its employ. She stated “despite my acquittal by the courts, I find it impossible to continue satisfactorily to work in my own field at present.” Fortunately, her former boss and friend at the Bureau put her in touch with Cambridge University in England which quickly hired her so that she could continue her national accounting research. In the early 1950s, Chapman returned to Canada and married an American advertising executive who had fled the McCarthyism of his native United States. She also went to work at a left-wing research consultancy firm in Montreal with Eric Adams, another former Bank of Canada employee who had also been named by the Kellock-Taschereau Commission as a Soviet agent and had been subsequently exonerated. It was a hand-to-mouth existence. 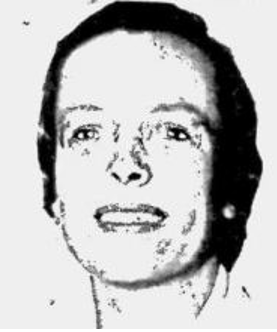 On 17 October 1963, Agatha Chapman jumped to her death from her Bishop St apartment. There was no mention of her passing in the nation’s press. Canada, 1946. The report of the Royal Commission appointed under Order in Council P. C. 411 of February 5, 1946 to investigate the facts relating to and the circumstances surrounding the communication, by public officials and other persons in positions of trust, of secret and confidential information to agents of a foreign power, 27 June. Ottawa : E. Cloutier, Printer to the King. Clément, Dominique, 2014. Canada’s Human Rights History: Agatha Chapman, http://www.historyofrights.com/bios/chapman.html. McDowall, Duncan, 2007. The Trial and Tribulations of Miss Agatha Chapman: Statistics in a Cold War Climate: Queen’s Quarterly, 114/3 (Fall), 357-373. The Evening Citizen, 1946. “Chapman Acquitted by Judge”, 27 November. ——————–, 1947. “Agatha Chapman to do Research Work in England,” 25 March. The Montreal Gazette, 1946. “Agatha Chapman Faces Spy Charge,” 20 September. Image: The Evening Citizen, 26 November, 1946.